Home :: Training :: CD-ROMs :: Stop That Payment! Not so long ago, stopping payment was an easy thing. The payment was either a check or an ACH item, and all you had to do was make sure you selected the right form for the customer to complete. Now, check conversions and image presentments have thrown confusion into the mix, making the handling of stop payments more complex. The use of ACH transactions by consumers has made it more important than ever that bankers understand the relationship between Regulation E's stop payment provisions and ACH rules. 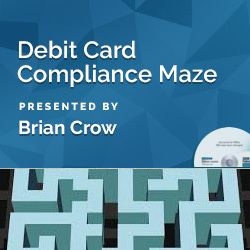 It's also important that bank employees understand the relationship between revocations of preauthorized EFTs and stop payments. Bankers must also understand the differences between the use of their systems' stop payment functionality and the actual right to stop payment. Not all payments can be stopped, and it's important that bankers know which items will almost always get them into trouble if the bank refuses payment. Failure to understand this concept can lead to lawsuits, increased legal costs, and significant losses. 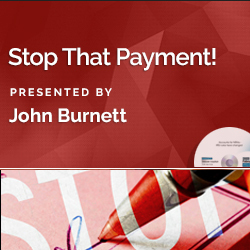 Participants in the webinar will better understand how to respond when their customer says, "Stop that payment!" 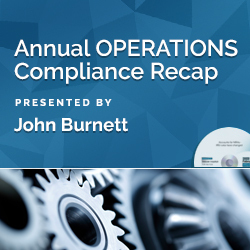 This program was recorded in its entirety in September 2018. 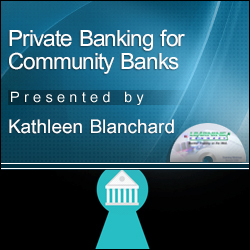 The CD-ROM includes program slides, materials (if available) and follow-up Q & A document. Manufactured by: Glia Group, Inc.